Over the past few hundred years probably no area of the world has seen its borders change as frequently as Central and Eastern Europe. 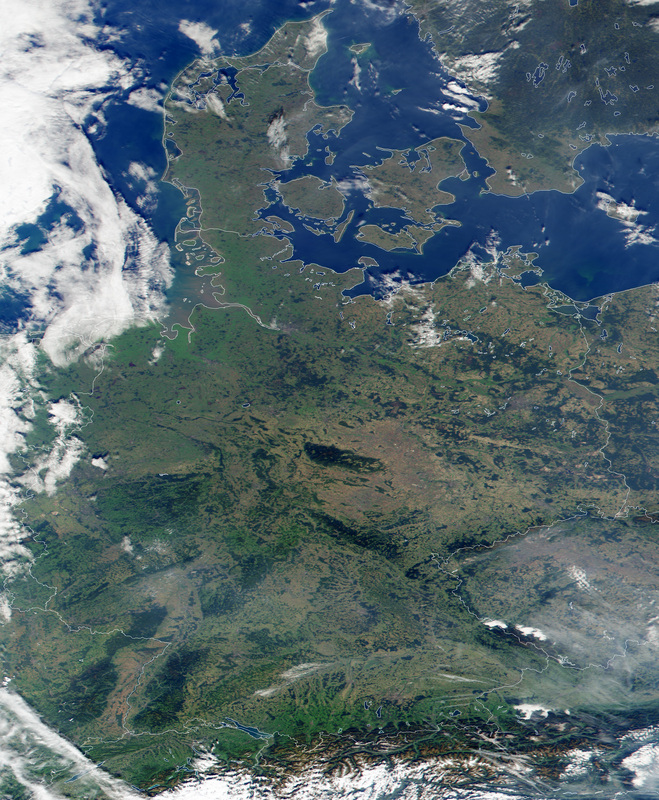 The region's latest political boundaries have been superimposed in white upon this true-color image of Europe acquired by the Moderate-resolution Imaging Spectroradiometer (MODIS) on September 29, 2000, flying aboard NASA's Terra spacecraft. 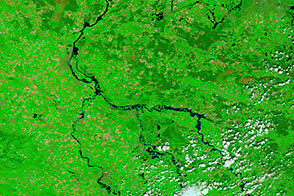 At the top of the image, one can see the Danish islands of Sjaelland and Fyn, and the Danish mainland. Copenhagen, the capital of Denmark, is located on Sjaelland, the larger of the islands. 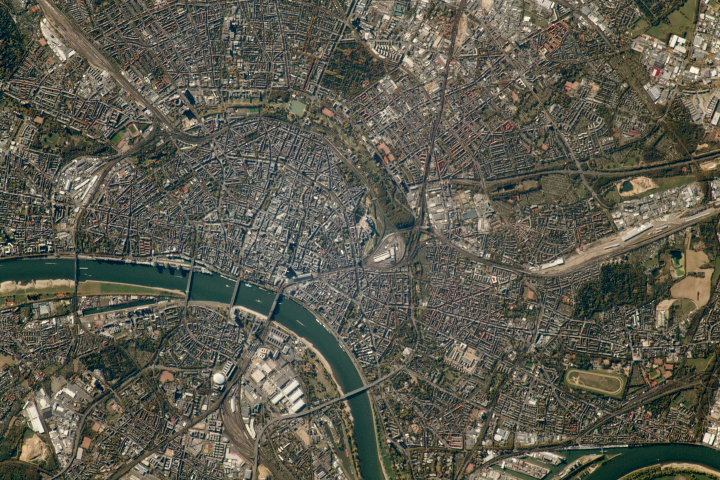 Moving towards the bottom of the image, the Rhine River is snaking its way north along the border of Germany and France. 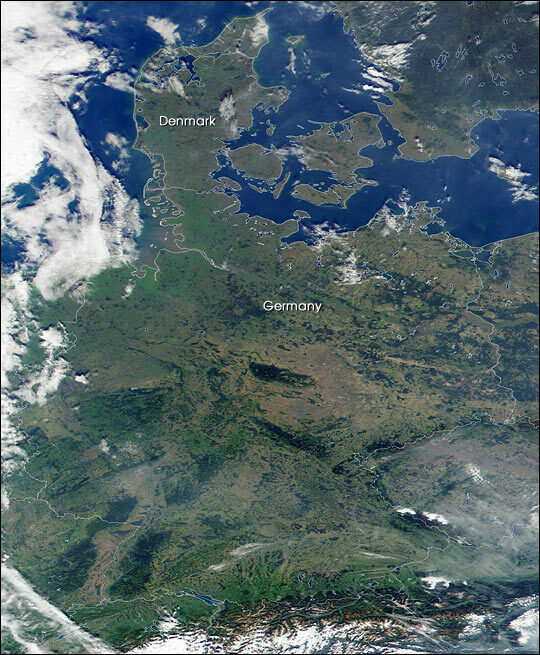 At Germany's southern edge, the dark brown Alps can be discerned through an uneven layer of clouds.